There are many things to consider for 2019. What is it that makes you want to see, hear or do magic? At the January meeting, it occurred to me that it is in the sharing that makes magic work. So, this month’s meeting will be sharing or teaching tricks. If you have anything you would like to show the group please let me know, as we have three members willing to amaze us so far! Do you have an effect or two that you want to learn or improve on? Bring it in and someone might be able to help you! So grab your paper, pencil, rubber bands, deck of cards and anything other effect and come enjoy an evening of learning and sharing magic! As of this writing, I still have not found a lecturer for our meeting in March. The two possible lecturers that I had contacted were not able to commit to us. So on to Plan C, which is in the works. We’ll keep you posted. The sudden loss of Professor Bill Pryor leaves the title and honor of being the Dean of Cincinnati Magicians open. We have no one person in mind at this time for someone that could fill this honorable role. If you know someone who is worthy of this honor, please submit their resume and state why you feel this person deserves this honor. Names will be put on the May ballot for a vote by members. This honor is bestowed by both the local IBM and SAM clubs jointly. Both clubs must agree on a single nominee to move forward to have this title granted upon them. With our April auction, you can empty out your closets and clean house or fill the closet with more magic bargains! I am now taking lists of sellers. The first seller to respond to me will be seller #1, second to respond will be seller #2, seller #3, etc.In May, we will hold our elections. We need members to step up and help the club be the best it can be! This is your club. By being involved in the running of the club, you can make a difference! If you are interested in being an officer, please let me know. Don Westermeyer has graciously offered his home for the site of our June 9th picnic. More details will follow as plans are made. Many thanks in advance to Don! All activities will continue to be held at the North College Hill Senior Center (except for the Picnic). Ring #71 held its January meeting Friday, January 25th at the North College Hill Senior Center. President Pat Hartzel welcomed members and introduced our guests, Debbie (who accompanied Bob Hedlesten), Casey Rayls and his ladyfriend, Patricia. Mark Wiechman gave the treasurer’s report. A contribution to Matthew 25 Ministries was made in honor of Bill Pryor. Mark was also going to transfer money from our checking account into a CD. As there was no meeting in December, Lori Arkin did not have anything to report. Pat also acknowledged the loss of three local magicians in the past couple of weeks. Dr. Fred Smart, Ray Turner, and Bill Pryor were all in our thoughts with a moment of silence in their honor. Clark Van Scyoc made a motion to rename the Annual Close-up Contest to honor Bill Pryor. Sir-Patrick Thernes seconded the motion. All were in favor. President Hartzel then made an announcement on behalf of John Blaylock. Ring #324 is planning a spring show. If anyone is interested in performing in this fundraiser, please contact John for details. His number is 513-319-9207. Also, Sir Patrick will be performing at the Falcon Theater on Saturday, February 16th at 7 pm. Tickets are available at www.tricktheshow.com. Due to several close-up contest contestants not showing up for various reasons, we were unable to have the competition. However, that did not stop us from being entertained at the meeting! 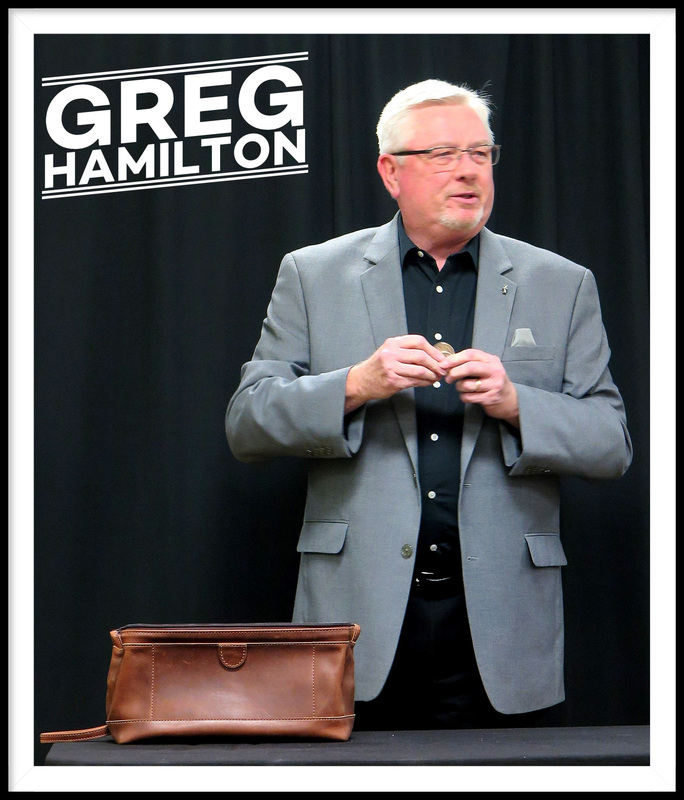 Greg Hamilton took to the stage and showed us his rope trick, and then did a coin transposition with a Morgan Silver Dollar. Greg then asked audience member Cathy Ogilivie to pick a number from 1 to 52. Cathy picked twenty-eight, and Greg counted out twenty-eight cards from the deck. The selected card matched his prediction that was in a wallet he had placed on the table beforehand. Next up was Frank Johnston. Frank asked audience member Patricia to volunteer to help him. Frank performed Martin Lewis’ CardioGraphic routine. Amazingly, her selected card, the Nine of Hearts, appeared on the notepad, rising up from behind the Ace of Spades that Frank had previously drawn on his notepad. 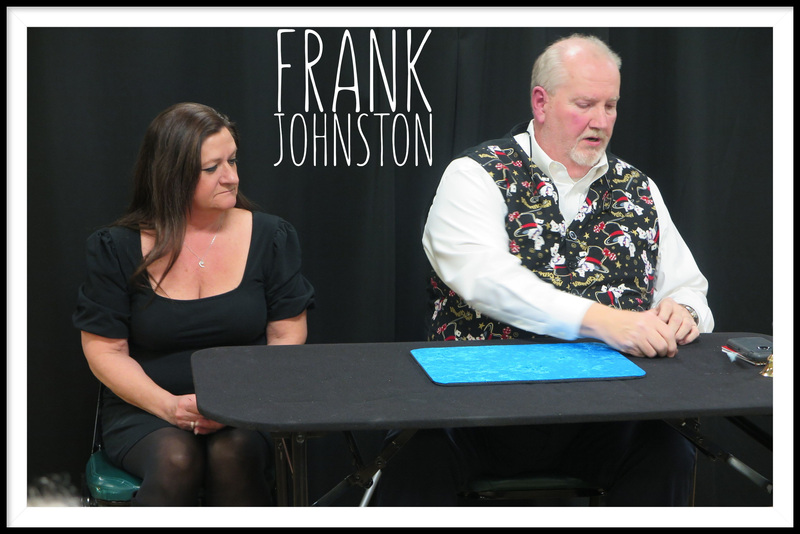 Patricia was handed the piece of paper as a souvenir and stayed seated for Frank’s next magical moment. She followed Frank’s lead by repeating his actions, and a brass bell was rung after each move. Several moves with cards were done, and by the last action, they both had cards that matched. Pat then made several announcements regarding some upcoming events. He then invited anyone else who wanted to perform to come on up! Next up, was our junior guest, Landon Ogilvie. Landon performed a card trick involving Four Jacks, who went into hiding in the deck, then the Jacks mysteriously rose to the top of the deck! 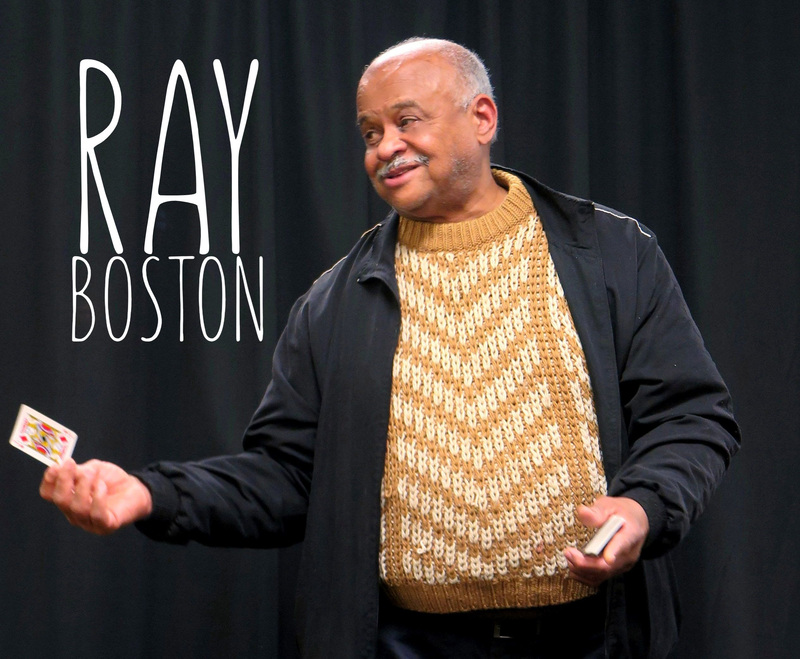 Larry Payne then showed us his little Red Scarf Trick that was one of Bill Pryor’s signature routines. Guest Casey Rayls then got up and performed Cell-out. Sir Patrick took to the floor and first announced that he will be performing at the Magic Castle from March 4th to 10th. He then did a very nice card routine. Frank Johnston then showed us several effects that were done using his I-Phone. Siri chose a card at random, and it appeared upside down in his deck. Helen Fehn then told a joke, followed by Ray Boston coming up and telling us about the Nicknames for Cards in the deck. Rick Gaffney then had Landon Ogilvie write his initials on a metallic card, and asked audience members to take a picture of the card. A surprise appeared in the photo after it was taken! Feedback was given to everyone and fun was had by all. After the meeting, fellowship continued at the restaurant next door. Welcome to International Brotherhood of Magicians Ring 71! We are a band of devotees of the magical arts: prestidigitation, illusion, wizardry, and conjuring. We are the heirs of Houdin, Kellar, Thurston, Houdini, and Blackstone. Join us, and learn what makes magic such a great hobby and a fascinating profession. Questions? Suggestions? Contact IBMRing71@gmail.com or Ring President Pat Hartzel (hartzelp@fuse.net or 513-679-1607).